Scans all inbound and outbound POP3, SMTP and IMAP traffic. Filters out email-borne threats, including spyware at the gateway level. Stops spam and phishing messages with high interception rates. ESETS_SMTP module runs independent of the Mail Transport Agent (MTA). Improved antispam engine with an option to define threshold levels with great precision. 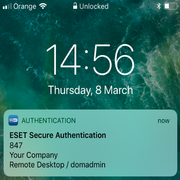 Compatible with ESET Security Management Center which provides a perfect “look & see” overview of the network security status from a single pane of glass. Gives you the option to schedule on-demand scans, actions and security tasks. 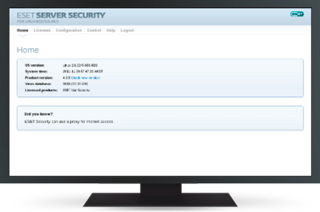 Allows you to customize log details and modify reports and notifications to help you monitor compliance with company security standards. Features content filters for Postfix, Sendmail, Qmail, Exim, Zmailer, and others. Smoothly integrates in the Novell Groupwise environment. Ready for integration with Zarafa collaborative software. Set-and-forget functionality. 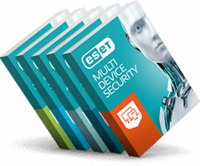 Powered by advanced ESET LiveGrid® technology, combining speed, accuracy and minimal system impact.